Plant-based Oumph! 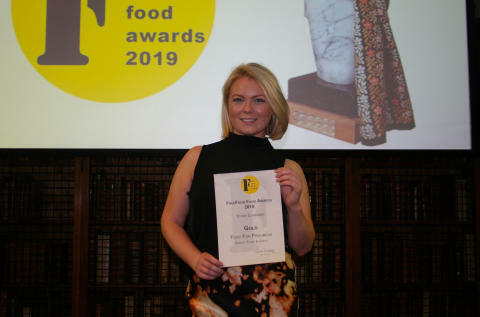 Thyme & Garlic won Gold in the Store Cupboard category at the FreeFrom Food Awards. The Oumph! 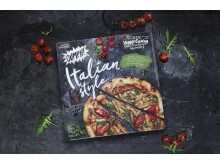 Pizza Italian Style was awarded Bronze in the Pizza & Pasta category. The awards were presented on Wednesday at the ceremony at Royal Colleague of Physicians in London. "Oumph! really is the most extraordinary product. Not only would it be really easy to mistake its texture for chicken, but it absorbs flavours - such the winning Oumph! Thyme & Garlic - so well. And of course from a ‘freefrom’ perspective, it is brilliant - free of 13 of the top 14 major allergens", says Michelle Berriedale-Johnson, Director, FreeFrom Awards. "The FreeFrom Awards is an amazing event showcasing some truly innovate food products, created by talented passionate people. We are proud that Oumph! is recognised by the judges. The entry standards are very high, so being awarded Gold proves what we know to be true - that Oumph! is really good, tasty food that just happens to be freefrom". Oumph! is currently available in Tesco, Holland & Barrett, Whole Foods Market, As Nature Intended and a number of independent chains and stores across the UK. Oumph! is on the menu at a number of cafés and restaurant chains in the UK, including Busaba, Hilton Hotels and Sodexo food services, with more to be announced this spring. Oumph! recently launched at Tesco in Ireland. Popular Oumph! 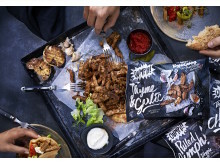 products include Pulled Oumph!, Kebab Spiced, Thyme & Garlic, Salty & Smoky, The Chunk, and the Oumph! Pizza Italian Style. Later on this spring a brand new product; The Oumph! Burger, will be launched into foodservice and retail. Oumph! is a favourite in Sweden and the Nordic countries. Oumph! is made from soya beans and organic herb and spice mixes. Oumph! is versatile and easy to cook, which makes it suitable for home cooks as well as for food services. It's suitable to grill, boil, sauté, deep-fry or simply heat over an open fire. In addition, it's high in protein and fibre, and a great source of iron and folic acid, as well has having a low impact on the climate. Since its launch in Sweden and Nordic countries in 2015, Oumph! has become a favourite with a wide ranging audience, including millennials, foodies, families, chefs and fast-food loving flexitarians and vegans. Food for Progress is driving a new food logic. We work hands on with climate, health and food security. Co-creation is our core value and global impact our goal. Our Brands: Oumph! and Beat. Prior to publication, it must be approved by Food for Progress. 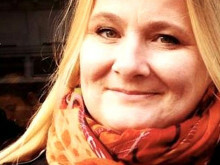 Contact Monika for UK news, information, photography and interview opportunities concerning Oumph! and Food for Progress. Plant-based Oumph! Thyme & Garlic won Gold in the Storecupboard category at the FreeFrom Food Awards.